Whoa! I feel like I blinked and February was over. And we even had an extra day in the month this year! 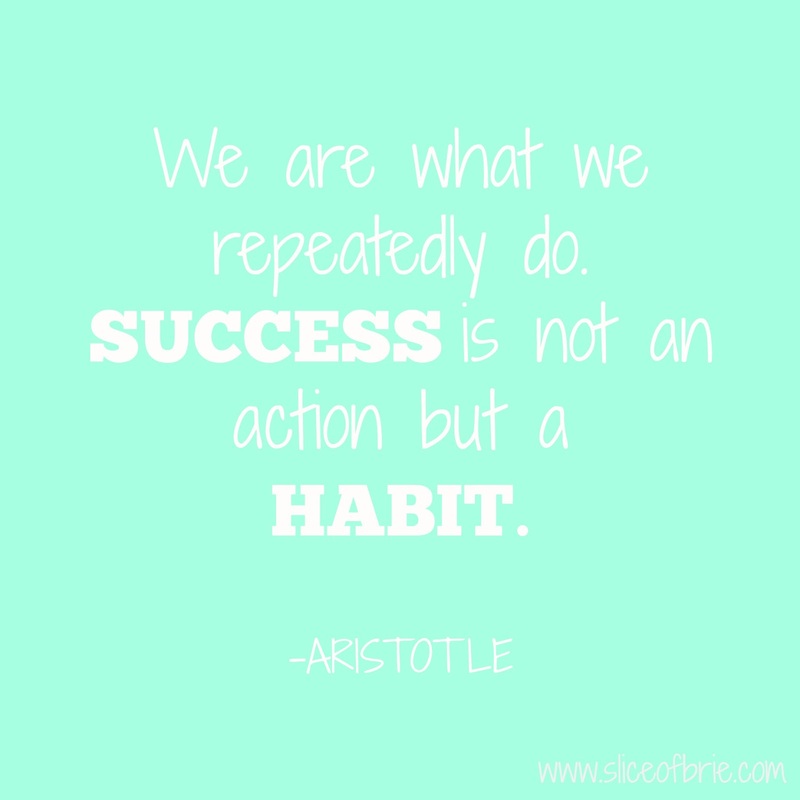 I knew February would fly by - it always does so I kept that in mind for when I made my goals for the month. What I didn't plan on though, was getting sick for almost two weeks last month. Two weeks! That's half the month. I'm not sure what hit me, but I had one of the worst colds I've had in years and I just couldn't shake it. Usually I recover really quickly when I come down with someone, but not this time. And when I'm sick, or feeling under the weather, I lose control in almost all areas of my life. Regular workouts? Didn't happen. Meal planning? Lots of pinning of recipes, but little making of them. I didn't even get to bed at a decent time most nights, which you think would be an easy one to accomplish when you aren't feeling well! My daily steps also suffered, but that's not surprising considering how little we left the house in those two weeks. Anyway! I'm glad to finally say that that brutal cold and lack of energy I was feeling is behind me and I feel back to my normal self. So I'm not going to dwell on last month and feel badly about the things I didn't accomplish, instead, I'm moving forward and I'm going to use March as a refresher month to get my life back on track! 1. Be in bed, lights out by 11p.m., every single night. While I had more success with this last month than I expected, I still had some really late nights and I only have myself to blame for them. 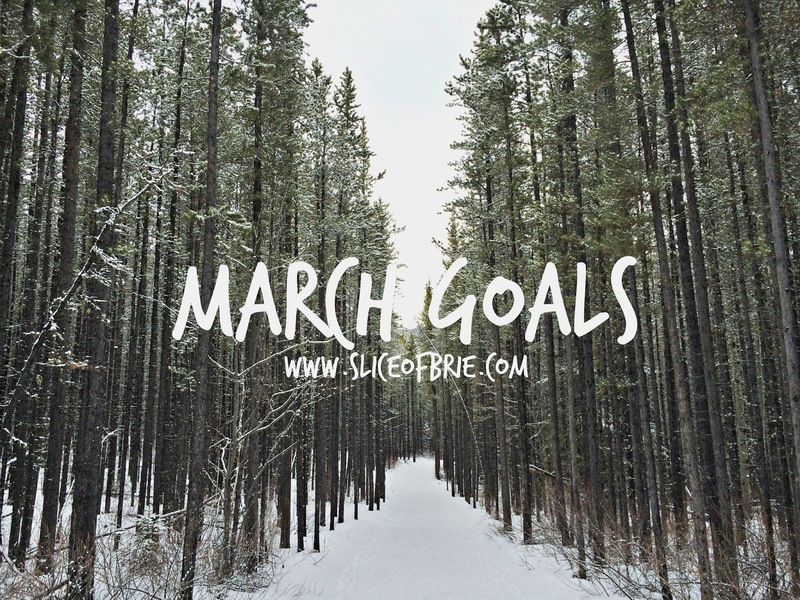 But it's not easy to ditch your night-owl ways, so I'm sticking with this same goal for March. And amazingly, when I do get to bed, with the lights out by 11p.m., I actually feel really good in the morning! So even this still relatively late bedtime is working better for me than midnight and beyond (obviously). 2. Walk 10,000 steps a day and strength train (BodyPump) 3x per week. I basically took half of February off from working out, but I've already been back at it for a solid week. I've been participating in step challenges with my fitbit and I really need to step up my game. I'm usually a really competitive person, but for some reason, getting my steps in isn't bringing out that side of me. Although I wish it were! I feel so great when I go to BodyPump that I'm committed to getting to a class 3x a week, even if that means I have to go in the evenings. 3. Run 3-4x per week. I talked about it in this post, but I need to step up my running game. I was working at building up my running strength by following a 5k training plan in efforts to focus on getting stronger as a runner both mentally and physically. I took many months off of running and I should stop expecting my body to be able to just jump back into running a 5k comfortably. My goal is to feel ready and confident for my first 10k of the year, which is at the end of May. I've been doing really well at making reading a priority, and my goal is just to continue with that. I have a few book club commitments to read for this month so my focus will be on getting through those books. 5. 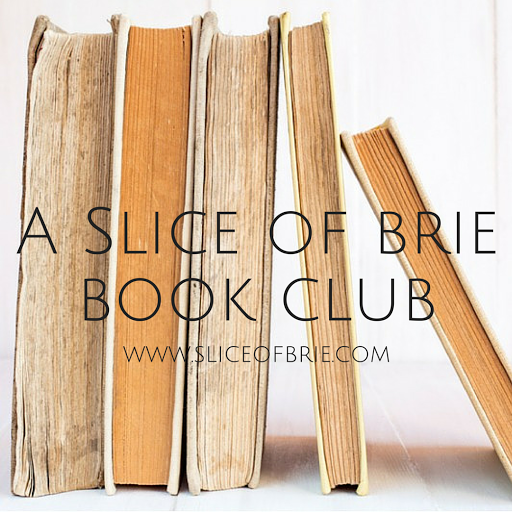 Start an online book club on the blog. I keep saying I'm going to do this, but then I give an excuse as to why it hasn't happened yet. Honestly, I'm nervous to officially put it out there and then not have it received well. But it's something I really want to do, and since I read anyway, it's not a total loss if no one participates. 6. Meal plan once a week (on Saturday/Sunday), and grocery shop only once a week. Like I said above, February was a bad month in the meal planning department. Many meals were made last minute, I went to the grocery store more than once a week and a lot of nights were "fend for yourself" nights which are fun once in awhile, but we had too many of them. I really just have to commit to taking the 30-60 minutes to sit down and pick out my meals for the week, because if I don't do it on the weekend, it doesn't end up happening. And that's my plan for getting back on track (keeping in mind my word for 2016 was organize!) and I'm hopeful that March is going to be a better month! I know these goals are repeats, but they are things that I'm trying to make into habits and habits are definitely not made overnight. So I'm not giving up yet! Do you make mini-goals for the month? Did you make goals for March? On Moon Bitcoin you can get faucet bitcoins. 163 satoshi every 1 hour.